Hi, everybody. My name is John Fischer. Welcome to toysforbigboys.com. I’m the owner of the company. You know we cover a lot of our individual customers, but we don’t really get into categories. And today, I want to talk about a big category and that happens to be luxury submarines and submersibles. This is Teeny Weeny. Teeny Weeny is in charge of security if you are wondering what’s going on over here, and she loves submarines. But let me tell you a story about submarines and why I started this company. I have a lot of experience in many of these areas. I actually had a company called Subventures in Key West. We were getting ready to go and we hit all kinds of complications. We had a Seltzer submarine. It was Swiss-made and there’s U.S. laws about owning and operating U.S. vessels in U.S. waters so it became kind of complicated. It became a real pain. But you know what, these customers of ours, Triton Submarines, my God, you want to see some really cutting-edge stuff. They’re gorgeous. They got four-man, eight-man subs. I mean it’s just as beautiful as it gets. I mean, I envisioned if I had a big yacht having that big crane and just dropping into the water in the Bahamas and having some fun. Gorgeous, I mean, that’s like the top of the line in submersibles. Yellow Submarine by Y.CO, they have a beautiful product. Ortega Submersibles, another cutting-edge company, some real, real nice stuff. And, of course, Scrubster. 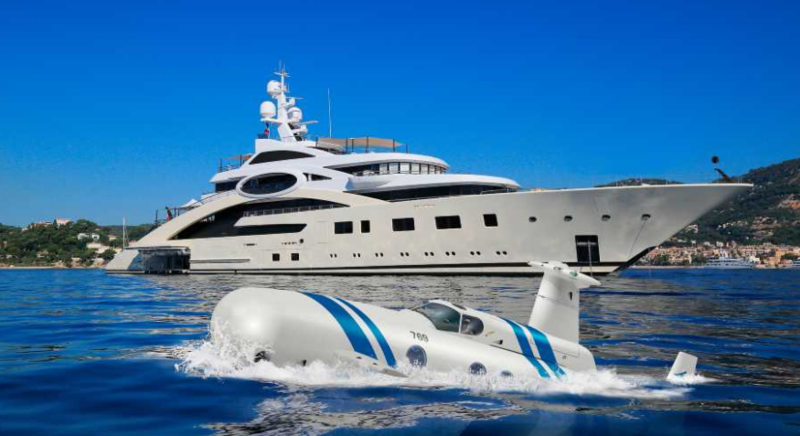 So, if you’re looking for luxury submarines, looking for those submersibles to hop onto your yacht, or just to go out and have some fun, and believe me, it’s a lot more fun than putting tanks on and worrying about decompression tables and great white sharks and so on. You can smile at them while you’re in your Trident submersible. If you have any questions, call Vicki at 561-352-8002. Keep your eyes open for the Submarines and Submersibles category on toysforbigboys.com. Thank you for your time. Have a beautiful day and God bless.